Not content with making Landmark prints of local towns and places of interest I have decided to branch out into the realms of the not quite so real. So far I have made a couple of my favourite Sci-Fi locations but there will be more to follow. 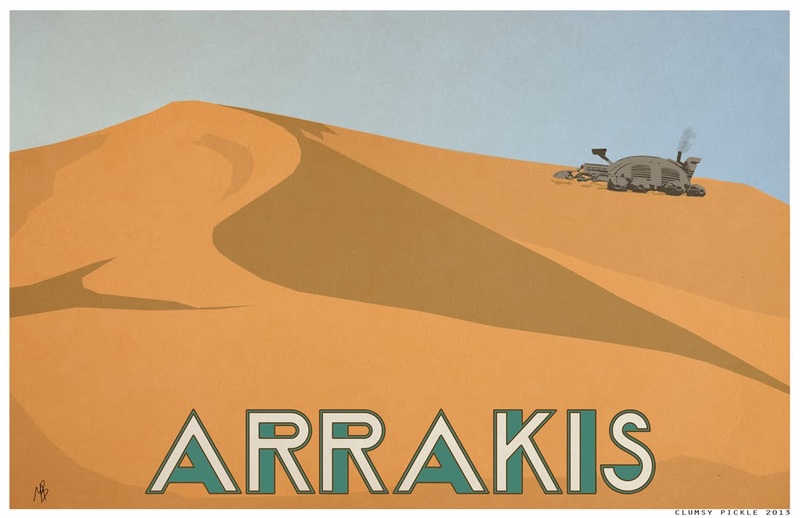 One of my all time favourite books is Frank Herbert's Dune and what could be more iconic than the desert planet itself Arrakis. I have many more sci-fi and fantasy locations in the pipeline and will happily take suggestions in case there are any other iconic landmarks I'm missing. Were almost at the end of January now and I'm sure some of you are looking towards Valentines day. 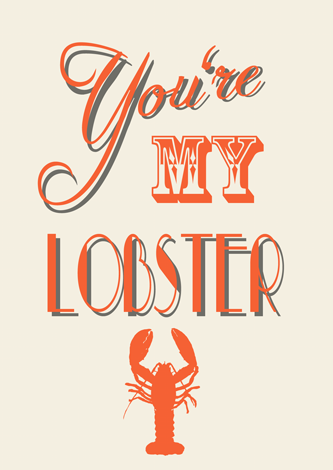 If you're anything like us here at the pickle then you'll probably be fed up of the usual saccharine sweet stuff churned out by the card companies. To remedy this we decided to come up with our own design which can be used not only for valentines day but for all sorts of occasions when you need a card for a loved one. The cards are available in the shop for pre order now and will be posted out the first week of February, which will get to you in time to deliver to your valentine. I have another poster idea I came up with a while ago for you today. As I'm sure I've mentioned before I'm a bit of a geek at heart (well a lot really) and I love Captain America. So I decided to come up with something a little different. If you've seen the film then you may recognise the song the Star Spangled Man which is just ace. If you don't know it then here's the video. Crank up the volume and enjoy. Now there are hundreds of Captain America posters out there with various renditions of the Cap on there. I decided I wanted to do something a little more symbolic. 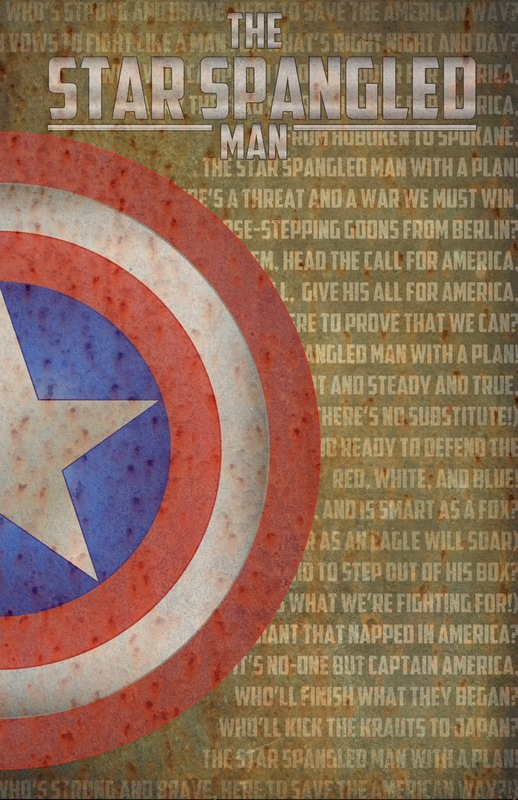 With that in mind here is Caps shield with the lyrics for the above song written in the background. I'd love to get this printed up as posters but slightly scared of the hammer of Marvels (aka Disney) legal department. Until I can sell this idea to them for millions I'm afraid you'll just have to enjoy this for now. I thought I'd write a little blog post about the Landmark collection which has kind of become my signature work of late. 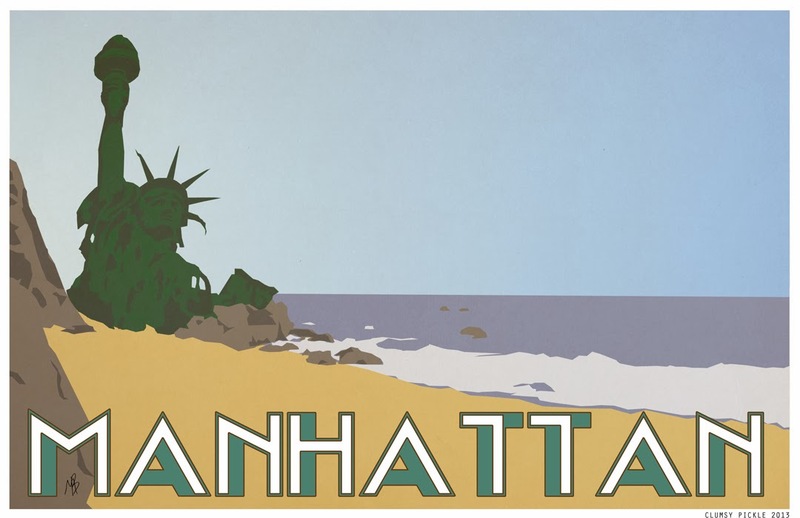 The Landmark pieces started out due to my obsession with Art Deco and fondness for the old railway travel posters. I remembered seeing a poster for near enough every seaside location in the country as well as other tourist attractions. However of all the posters I'd seen I don't remember ever seeing one for Grimsby! 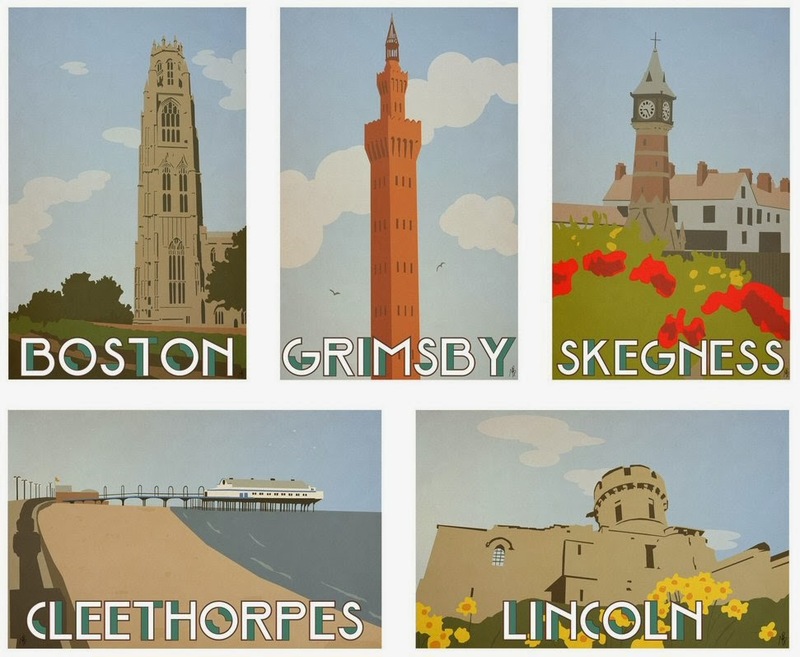 Cleethorpes, Skegness, Mablethorpe yes but not Grimsby. Now I'm sure a lot of you don't think of Grimsby when you think iconic seaside towns which is fair enough, but it does however have an incredibly iconic and important architectural feature in the form of the dock tower. So that is how it all started. 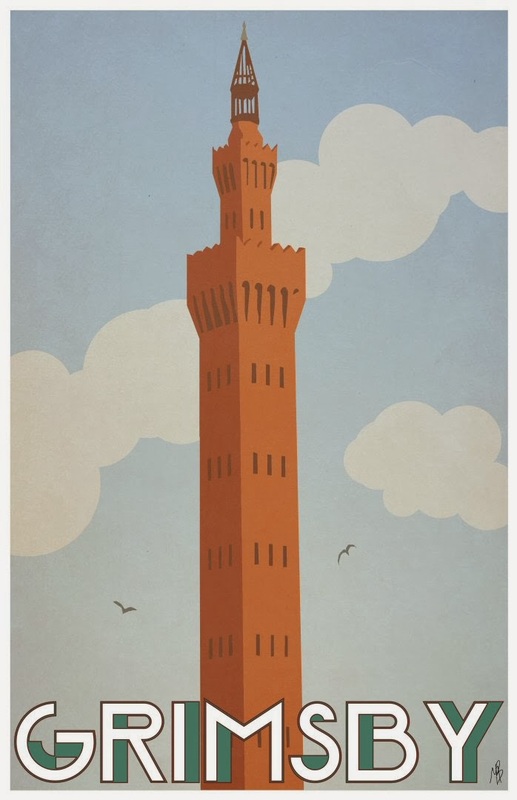 Once the dock tower had been completed I decided to start branching out to other Lincolnshire towns. 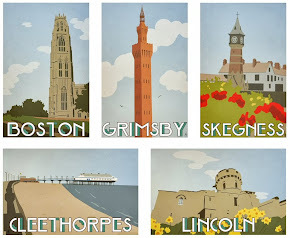 I didn't want to just recreate the old travel posters though so chose to do particular landmarks from the towns, making a bolder image than just pretty beaches etc. With this in mind I chose the first towns based on places significant to my wife and myself. I have since expanded to other locations and am constantly working on new ones including commission pieces and other interesting places too. So keep an eye on the blog and new ones will be posted as soon as they are done. 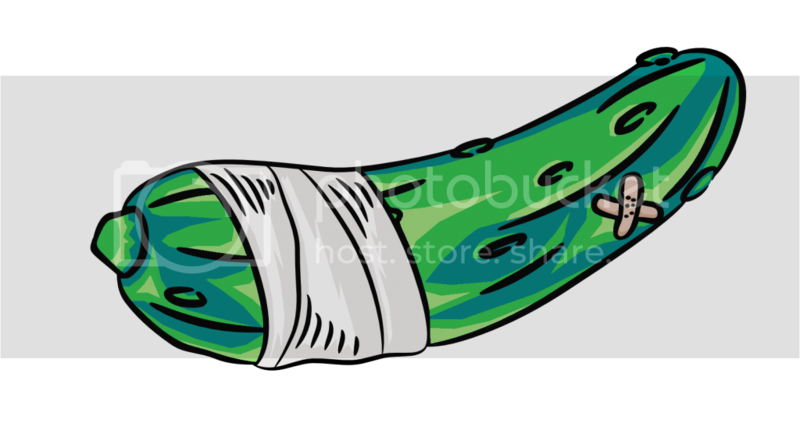 Also if you are looking for something in particular please feel free to drop an email to clumsypickle@hotmail.co.uk and we can sort something out. I got the idea for this after watching Les Miserable a while back and not being able to get the mental image of Jean Valjean charging at Javert with claws out from my mind. Anyway I'm sure those of you with some nerdy knowledge will have got this straight away. 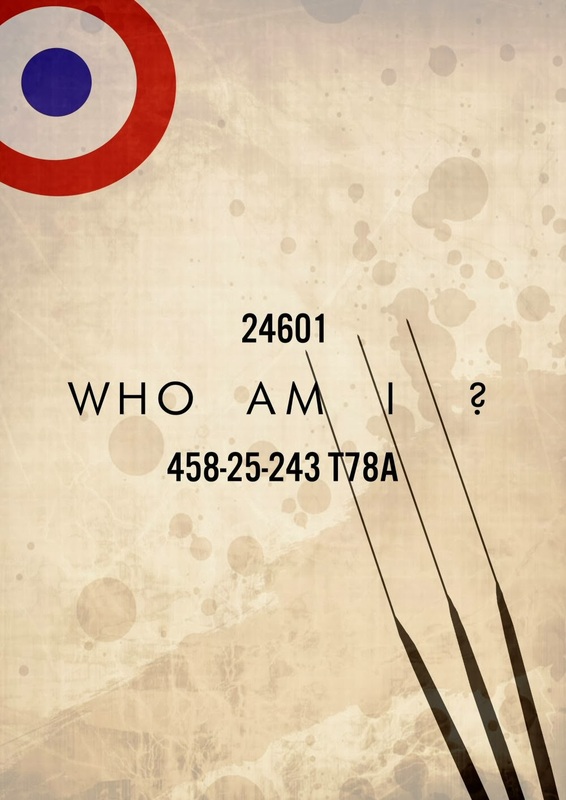 Jean Valjean's prison number is 24601 and Wolverines dog tag is 458-25-243 T78A. So the answer is Hugh Jackman. Have debated making some prints of these or doing another version so let me know what you think.